The striker Antonio Di Natale will take part during in the friendly match with the USA in February – said Cesare Prandelli, national team coach. The 34-year-old player played last time in the national team at the last year’s world championships in South Africa. 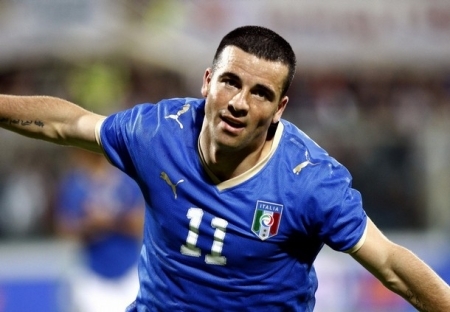 Di Natale, who gained the title of the king of scorer in the last two seasons, will return to the team after one and a half year break. This is due to serious injuries of Giuseppe Rossi and Antonio Cassano. 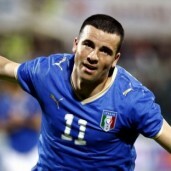 Di Natale will play in the match with the USA – said Prandelli in an interview with “Gazzetta dello Sport”. He also added that he also consider checking the goalkeeper Napoli Morgan De Sanctis. In the current season of the Italian league, Di Natale, who has scored 10 goals, is weaker only than German Denis from Atalanta Bergamo (12) and Zlatan Ibrahimovic from Milan (11). The national team player scored 10 goals in 36 matches. Euro 2012. Who will be the star in the European Championships? Pele knows it already.